The injury bug bit the Bills in a big way this season. It's no question that the Buffalo Bills have been beat up more than just about any other team in the NFL this season. Injuries have plagued both the offense and the defense, and a late bye week didn't help the cause. Fortunately, the Bills have finally reached their week off and there's no doubt they're more than ready for some recovery time. 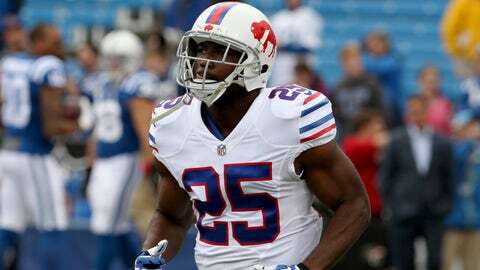 As Ryan said, the Bills have had to overcome injuries to Taylor, Harvin, Watkins, Karlos Williams, Aaron Williams, Kyle Williams, and Leodis McKelvin. All are impact players on a team struggling to stay afloat, and all could have helped the team greatly if they were healthy. McCoy has finally gotten back on the field in the past two weeks, but Watkins and Taylor have both missed those two games. It's been a while since the Bills had all three players on the field at the same time, but they're hoping a bye week will make that happen.